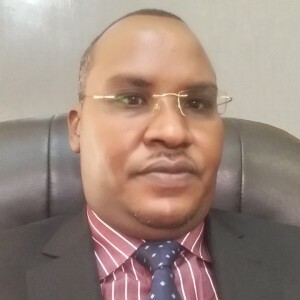 Dr. Roba D. Sharamo currently serves as Commissioner of the National Cohesion and Integration Commission of the Republic of Kenya and a Member of the country’s National Committee for the Prevention and Punishment of the Crime of Genocide, War Crimes, Crimes Against Humanity and All Forms of Discrimination. Dr. Sharamo is a frequent participant in events organized by AIPR’s Africa Programs, including seminars and training workshops in Kampala, Uganda and Dar es Salaam, Tanzania. He is also working to spearhead the development of a strategy paper for the Network of National Committees for Genocide Prevention in the Great Lakes Region. In my view, the primary actions and/or policies that guarantee the long-term prevention of mass atrocities are good and inclusive governance, as well as adherence to the Rule of Law. Conflict prevention and peacebuilding initiatives that proactively address violence and the structural drivers of conflicts and sustain social cohesion at the community and the national level are also very effective. Additionally, policies that focus on sustainable development, the economic empowerment of vulnerable populations, the alleviation of human suffering (such as the reduction of poverty), as well as early warning and early response, are critical imperatives in building a violence-free society. Hence, strategic policy investments designed to boost inter-communal coexistence and conflict prevention within a given national boundary should be a priority for any government, especially on the African continent – which continues to bear the brunt of incessant and excruciating political violence and protracted civil wars. Prioritize, nurture, and build local and national capacities in prevention, as this is cheaper and more effective than post-conflict reconstruction. It is important to cultivate political will and, importantly, include state and non-state actors as well as civil society groups in early warning, prevention, and early response initiatives in order to effectively mitigate any threat to peace. Beyond state-led intelligence systems, it is imperative to set up early warning and response systems that involve the participation of state actors, non-state actors, and communities to effectively mitigate violent conflicts. I would also counsel that capacity building, institutional networking, and coordination at all levels are essential to building effective partnerships for conflict prevention. I am dedicated to this field due to many factors and life experiences. I grew up in northern Kenya – a region that, even from pre-colonial times, bore the heavy brunt of deadly inter-communal violence and later suffered the effects of economic marginalization and state repression. Being from the nomadic Gabra community, straddled across the Horn of Africa from Kenya to Ethiopia to Somalia, from early childhood I heard of hundreds of narratives of ethnic massacres, hatred, clashes, and heaps of collective memories of generations and livelihoods lost to senseless tribal violence. Indeed, growing up herding goats and camels in the often-harsh plains of northern Kenya, images of the neighbouring communities as enemies were strongly ingrained in our DNA. I grew up wanting to be a warrior, to defend my community’s territory from belligerent neighbours. However, my parents’ wise decision to take me to school in 1981 changed my life’s destiny – from potential warrior to scholar and practitioner in the field of international relations, diplomacy and conflict prevention. What shaped me? My parents bestowed on us the importance of the value of human lives, coexistence, and diplomacy as well as prevention and mediation to deal with conflict situations. My dad’s achievement as a colonial Askari (the Swahili term for a soldier) and his work in guarding and keeping the peace among warring pastoral communities of northern Kenya earned him a silver media from the United Kingdom’s King George VI. He was awarded this prestigious honour for averting deadly violence between his own community of the Gabra and the Dassenatch along the shores of Lake Turkana. His medal – which on his deathbed, he requested that my elder brother to give to me (I was in the United States when he passed on in 2002) – is a constant reminder of my dedication to adhere to diplomatic approaches to problem-solving, constructive dialogue, violence prevention and the pursuit of social justice. That early influence led me to the search for a career that works to bring peace between nations and communities over divisive issues – be it territories, politics, water or pasture – through dialogue. The journey to acquire the relevant knowledge and skills to do so influenced me to pursue Environmental Studies in Kenya and later Sustainable International Development as well as Conflict Analysis and Resolution at premier universities – Brandeis and George Mason – in the United States. Contemporarily, in addition to the pains of senseless killings in northern Kenya, the killings and societal displacements following the collapse of Somalia in 1991, the 1994 genocide in Rwanda, and the 2007/08 Post-Election Violence in Kenya, as well as the commitment to prevention and to saying “Never Again” to such atrocities against humanity are my greatest motivators for working in the field of social cohesion and inter-communal reconciliation. These events inspired my academic studies and my practice in conflict prevention, mediation and negotiation. The desire for global peace and security and the eradication of violence and enhanced national and global capacities to do the same are my main motivators! Specifically, I am motivated by the belief that, as humans, we can do better to keep human lives sacred, protect vulnerable people within our society, and dialogue about any contentious issue that divides communities and nations. I am further inspired by the resilience and strength of the human spirit to recover from the worst forms of atrocities and the desire for change. I am inspired by historical figures such as Nelson Mandela, Martin Luther King Jr., and Folke Bernadotte, as well as many global peacemakers and diplomats who mediated violent conflicts, applied diplomacy to difficult situations, and, importantly, stood for social justice and forwent the urge to follow feelings of revenge but instead pursued a life of determined reconciliation. Many have lost their lives trying to mediate violent conflicts. Such selfless sacrifices inspire me. Currently, as Commissioner with the National Cohesion and Integration Commission of the Republic of Kenya (a Presidential appointment) and a Member of Kenya’s National Committee on the Prevention of Genocide and Mass Atrocities – I am deeply committed to the ideals of a peaceful, cohesive and integrated Kenya as well as peace and stability in the regions of the Great Lakes and Horn of Africa. I strongly believe that peace, security and development must coexist for Africa to rise and rise! And that this should be our absolute focus.